Home / Dr. Sylvia Ramirez / Why Are Non-Invasive Body Contouring Procedures So Popular? And Do They Really Work? Non-invasive body contouring procedures have become one of the highest in-demand aesthetic treatments in Singapore. While most people are wary when it comes to surgical fat removal treatments, CoolSculpting, BTL Vanquish and similar treatments allow patients to undergo safe fat removal without incisions, pain, or downtime. These benefits alone make non-invasive body contouring a popular option for those with stubborn fat on the face and body. The real question is do these fat reduction procedures actually work? Non-invasive body contouring procedures are recommended for individuals who want to lose excess fat and contour their body. Popular non-invasive fat removal procedures involve the use of controlled cooling and radiofrequency. Whether you want to flatten your stomach, lose your love handles, or reshape your thighs, BTL Vanquish can help. 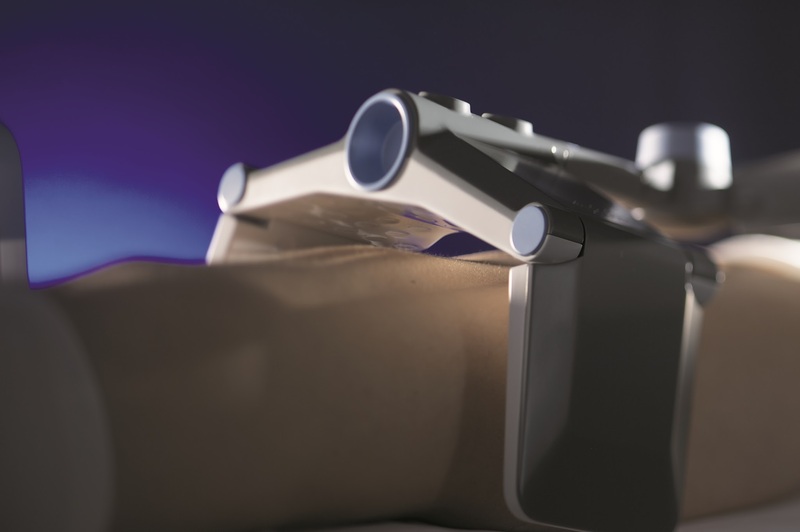 Vanquish non-invasive fat reduction uses an FDA-cleared selective radiofrequency designed to eliminate fat cells without affecting the skin or muscles resulting in reduced circumference. Vanquish is also the first and only largest and “contactless” fat removal procedure that can treat the entire abdomen in one session without touching the patient’s skin. Exilis, also created by BTL Aesthetics, is a head-to-toe treatment that is clinically-proven for facial rejuvenation, body contouring and skin tightening. Exilis uses FDA-cleared radiofrequency (RF) waves to heat up specific layers of skin to melt fat as well as to firm and tighten skin. What’s unique about Exilis is it’s precise controlled cooling that protects the top layer of the skin while heat is being absorbed by the fat cells in the subcutaneous layer underneath. Exilis is a safe alternative to liposuction and is customizable to help individuals with all skin types and thicknesses. When performed by a professional, Exilis can offer dramatic anti-aging and fat reduction results in the face and body. CoolSculpting in Singapore has the power to eliminate fat cells without surgery and with little to no downtime. CoolSculpting uses FDA-cleared controlled cooling also known as “Cryolipolysis” to target fat deposits without affecting other tissues. This fat freeze procedure works by freezing fat cells at a higher temperature than surrounding cells, causing their natural death. CoolSculpting is effective on targeting stubborn fat bulges on the stomach, flanks, back, chest, and even the double chin, bra and knee fat that are usually resistant to diet and exercise. Does Non-Invasive Body Contouring Really Work? If you’re wondering how to lose belly fat, you may be curious as to whether or not non-invasive body contouring actually works. While everyone gets different results, there’s no doubt that these non-invasive procedures are effective. However, it’s important to be realistic about your expectations. Women and men who are no more than about 20 pounds overweight and carrying extra weight or have irregular contours in the abdomen area can expect positive results. Vanquish fat removal and Exilis skin tightening are suitable for individuals who are looking for a non-invasive treatment solution to reduce unwanted belly fat without the downtime. On the other hand, CoolSculpting fat freezing is suitable for any individual who want to remove “pinchable” fat bulges without surgery. While procedures like Vanquish body contouring, Exilis skin tightening and CoolSculpting fat freezing can contour your shape and help you achieve your dream body, a healthy diet and active lifestyle is still encouraged to help promote and maintain results. To get maximum results, you will also need to commit to multiple treatment sessions spaced out over a several week period. All of us have our problem areas but some have more difficulty getting rid of excess fat. To learn how non-invasive body contouring can alter your appearance, contact our skin specialist in Singapore at the Cutis Laser Clinics.